Alcohol, fragrance composition and its related ingredients… a perfume is a particular cosmetic product, which depends of course on Cosmetics Regulation 1223/2009, but also on other regulatory frameworks. 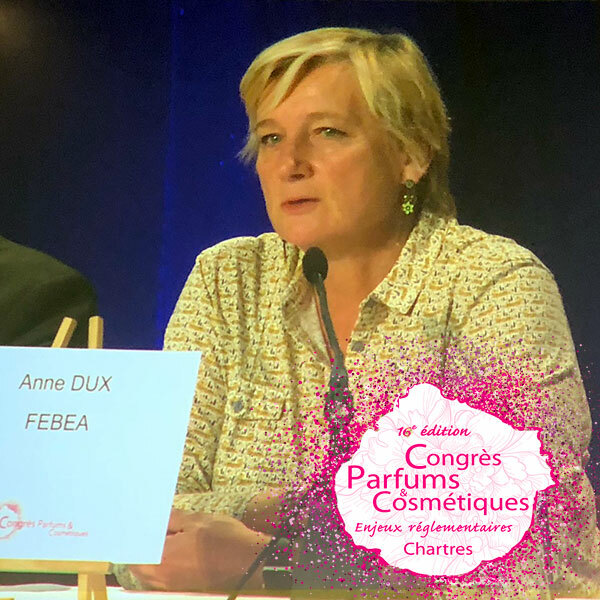 It must therefore meet very specific requirements, as detailed by Anne Dux, FEBEA’s Director of Scientific and Regulatory Affairs, in charge of European relations, at the 16th Cosmetic Valley Perfumes and Cosmetics Congress. For Anne Dux, the aim was to review the regulations governing everything related to a perfume: its fragrance composition, its alcohol and its transport as a dangerous commodity. Four regulatory frameworks are mainly relevant to fragrance compositions: the REACH and CLP Regulations, the IFRA Code and the Cosmetics Regulation. Anne Dux mentioned them all successively, stressing at the outset that they do not necessarily have the same definitions of a fragrance composition, and that the obligations they induce are also very different. For both Regulations, a fragrance substance is a mixture or solution composed of two or more substances. Under REACH, since 1 June 2008, it has been mandatory to register at ECHA substances manufactured in or imported into the European Union in quantities exceeding one tonne per year and per legal entity, whether on their own, in mixtures or in articles with intentional release. When the substance is manufactured or imported at more than 10 tonnes per year, a Technical File containing a Chemical Safety Report (CSR) must also be provided.